Drop a heavy beat on your target… so to speak. 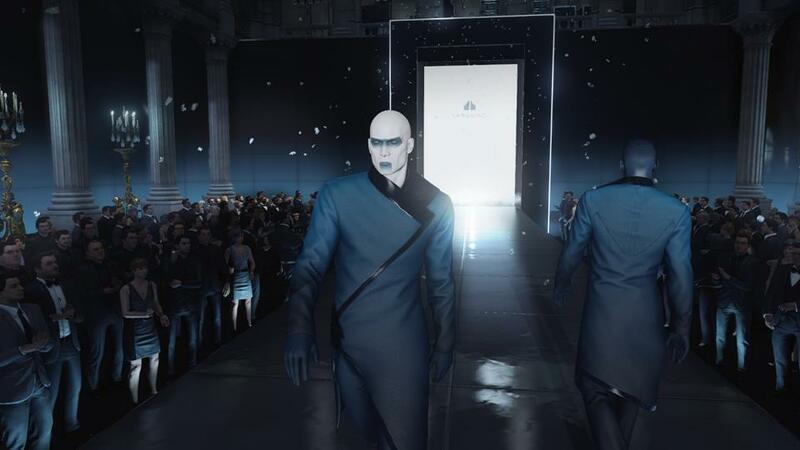 Hitman’s Paris-based level The Showstopper is packed with different ways to take down its two targets. There’s dangerous electrical audio/visual equipment everywhere too – so why not arrange an unfortunate accident? Better still, your first accident kill on the level will net some bonus experience. This challenge is nice and easy – it just requires you to drop a speaker on the unsuspecting Victor Novikov as he makes his rounds. Victor and his bodyguard walk a fairly set route around the Paris level. They remain inside the building for the most part and unless something inspires them to do otherwise they’ll walk a lap of the dressing rooms through to behind the catwalk, then the kitchens, then the bar, then into the main room to view the catwalk from the front. If nothing distracts them they’ll walk back into the dressing rooms. Victor’s a control freak, and spends most of his time berating his employees for how they’re doing. The most challenging part of this one is finding a crowbar, a necessity for completing the mission. There’s a number of crowbars placed across the Paris map, but there’s a few we find the easiest to get. There’s two in the building basement, both on the North-eastern side. There’s one in the very far back end of the South Eastern most part of the building on the ground floor, and one in the setup courtyard just outside that. There’s none of the second floor, but there is one up in the attic in a hallway that links the northern and southern sides of the attic. Once you have the crowbar, head to the area where the AV center is. This is one floor up, slap bang in the middle of the map. You’ll be on gangways that overlook the fashion show. There’s several speakers up here hanging that are blasting the fashion show’s thrumming music. The crowbar can be used to dislodge them and make them fall. Novikov’s natural patrol around his fashion show takes him directly beneath a couple of the speakers, so just wait for the right moment and release the speaker. Time it right and Novikov will get flattened like a pancake. As soon as you drop the speaker get out of the immediate area fast. Novikov’s death will be registered as an accident, but guards will go on alert and will come to check the area where the speaker was attached for suspicious activity.